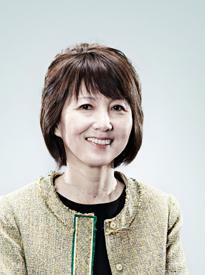 Miyoko's experience in her practice of general corporate and commercial law is wide-ranging. She has acted for multinationals in various fields in relation to the establishment of businesses, merger & acquisition, joint venture, capital reorganization, corporate restructuring, sale of goods, supply of services, distributorship, agency, employment, industrial relations, general corporate compliance matters and corporate secretarial matters. On the more general front, as she is bilingual in Japanese and English, she acts as a facilitator in closing the communication gap between Japanese clients and solicitors as well as presenting solution based answers to meet clients' development plans and strategies. In this connection, Miyoko has been involved in the areas of insolvency, disputes, trade mark registrations / disputes, e-commerce, construction, civil / criminal cases, arbitration, listing / delisting and regulatory matters. Drafting and reviewing various commercial contracts including sale and purchase agreements, distributorship agreements, agency agreements, contract manufacturing agreements, turnkey agreements, joint venture agreements, agreements relating to sale and purchase of assets and sale and purchase of shares. Advising clients on company law and corporate governance and acting as company secretary of various companies. Drafting and reviewing various internal control documents, including compliance manuals and directors’ regulations. Conducting due diligence exercises in relation to the acquisition of shares and assets. Drafting and reviewing employment agreements and advising clients on the laws relating to employment matters including provisions of the Employment Act and requirements relating to employment visas. Contributing papers on various topics including Debt Recovery in Singapore, Competition Act, Amendments to Companies Act, Construction Industry Security of Payments Act, Amendments to Copyright Act and Corporate Governance published in periodicals by Singapore Japanese Chamber of Commerce & Industry and JETRO Singapore.